So far, this summer’s melt season is following the overall downward trend in sea ice area, as seen from NASA satellites. 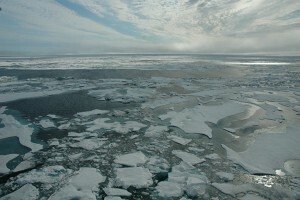 A University of Washington tool tallies a related value — the volume of floating Arctic ice. As of this week, it found the total mass of ice in the Arctic Ocean is at its second-lowest recorded volume for the beginning of July. 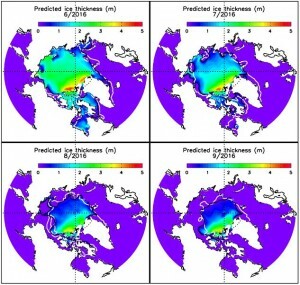 Schweiger is one of the developers of the Pan-Arctic Ice Ocean Modeling and Assimilation System, or PIOMAS, which combines weather observations, sea-surface temperature and satellite pictures of ice coverage to compute ice volume and then compares that with on-the-ground measurements. The tool is widely used to assess the volume of ice in the Arctic Ocean, now an area closely looked at for fishing, navigation, oil exploration and even tourism. His graphic captures the overall downward trend in ice volume, as well as the seasonal cycle and the differences from one year to the next. 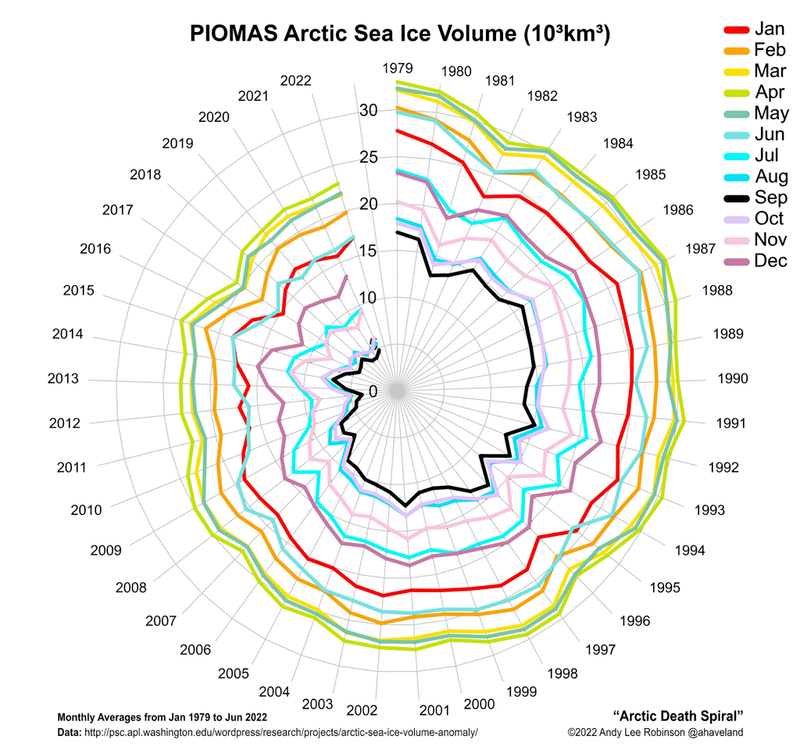 PIOMAS data had previously starred in the “Arctic Death Spiral” showing colored lines that each represent a month of ice volume spiraling in toward the center. It has also appeared as wavy lines, animated ice cubes, a NASA pyramid featured in Wired magazine, and a slew of more standard graphs of Arctic sea ice. Human-generated emissions are slowly boosting carbon dioxide levels to cause gradual temperature increases, which in turn create the closely-watched retreat of Arctic sea ice. The March peak ice extent was the smallest in the satellite record, and the average ice extent over the month of June was also a record low. The areal extent of Arctic sea ice, as posted daily by the U.S. National Snow and Ice Data Center in Colorado, is dancing around its 2012 record low. “Whatever ice was gained in 2015, that seems to have been lost, and we’re continuing on a long-term downward trend,” Schweiger said. The newly released June ice volume numbers from PIOMAS show an average volume of 16,500 cubic kilometers, which is about identical to 2011 and just above the 2012 all-time low. The fate of the ice this summer will depend on the weather over coming months, especially temperature, cloud cover, wind and storms. Arctic sea ice reached an all-time low in September 2012. UW research since showed that although a huge August storm helped break up more ice floes, that record was mainly due to warm temperatures. 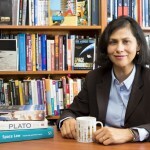 In a recent compilation of expert predictions for this year, Schweiger and UW colleague Jinlun Zhang estimated that Arctic sea ice will close out this fall at about 4.2 million square kilometers — more than the 3.63 million square kilometers low in 2012, but below the previous second-lowest level of 4.32 million square kilometers in 2007. 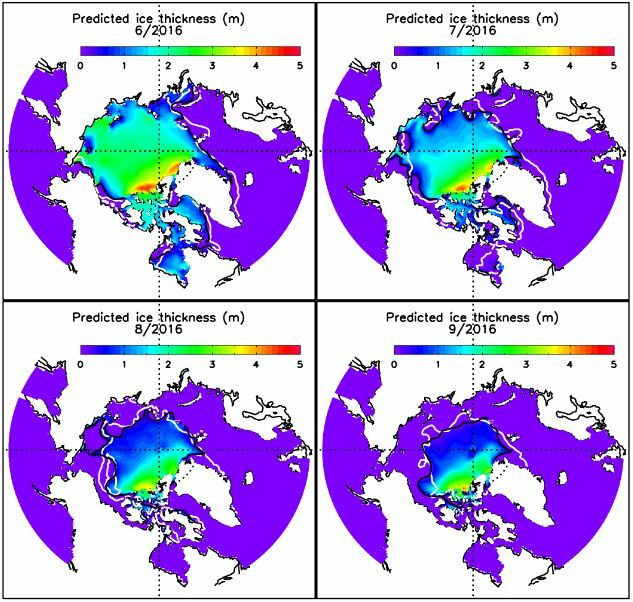 If their prediction holds up, this summer will be among the three largest amounts of open water seen to date in the Arctic Ocean. 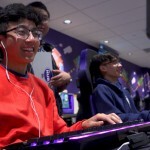 For more information, contact Schweiger at axel@apl.washington.edu or 206-543-1312. 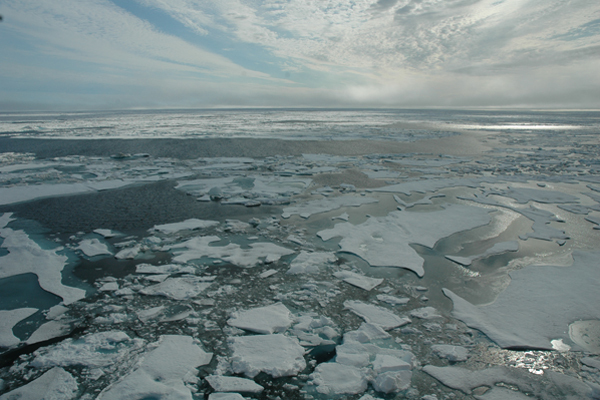 Download the sea ice volume animation here.